Kerry Hammond is here to review a new-to-her author whose book has an Agatha Christie twist. 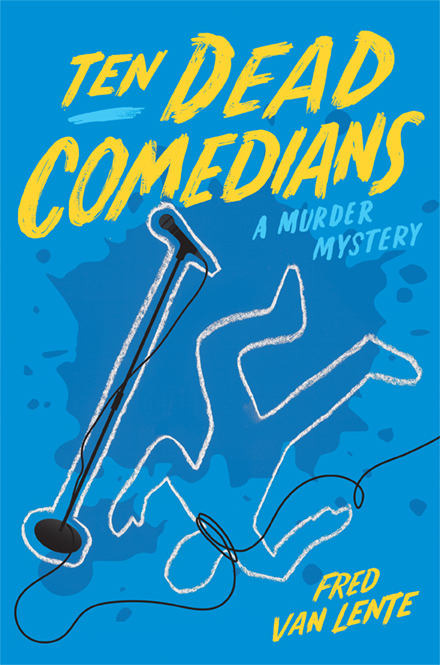 Ten Dead Comedians by Fred Van Lente was published on July 11 in Hardcover by Quirk Books. The book's description: "A darkly clever take on Agatha Christie’s And Then There Were None" peaked my interest and I was curious to see if it could live up to a comparison to such a famous and memorable work. I also wanted to know how the author would change up the plot to still offer a surprise ending. The setup includes a cast of nine comedians, at the top, middle—and bottom—of their game. They are summoned to an island to collaborate with Dusty Walker, a well-known and successful comic in his own right. Each of them immediately jumped at the chance to participate and dropped everything to be there, but when they start getting murdered, they all wish they hadn't been quite so eager. Interspersed into the action are transcripts of performances by each comedian who have, over the years, disparaged their host in one way or another, making the reader wonder if the invite wasn’t the good will attempt at a comedic collaboration that it seemed to be. The kicker is that they watched their host commit suicide on camera when they first arrived, so who is the one committing the murders....and why? This book was oddly mesmerizing. 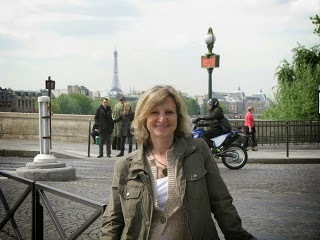 I tend to be skeptical to claims of being just like Agatha Christie, or reminiscent of Daphne du Maurier. When these descriptors are used, more often than not the books aren't what I would consider even remotely just like or reminiscent of those classics. But this really did read like a more modern, funny, twisted version of And Then There Were None. Change the location to the Caribbean, substitute the judge for a comedian, the statues for framed headshots, add in some modern technology like cell phones and texting—complete with plausible reasons for their ineffectiveness—and you've got this book. The killing off of the cast, one by one, on a remote island with no outside communication really makes for a great book and Van Lente was able to keep the suspense level ramped up so that I continued to turn the pages. His writing style really appealed to me and I enjoyed this book.